The 2012 AGM of the FQPM was held in the Court Room at the Queensland Police Museum. The key issues on the agenda were the election of officers and the adoption of the new revised FQPM Constitution. All these matters were successfully dealt with. Congratulations to Bob Burns, who will be our President for the next year. 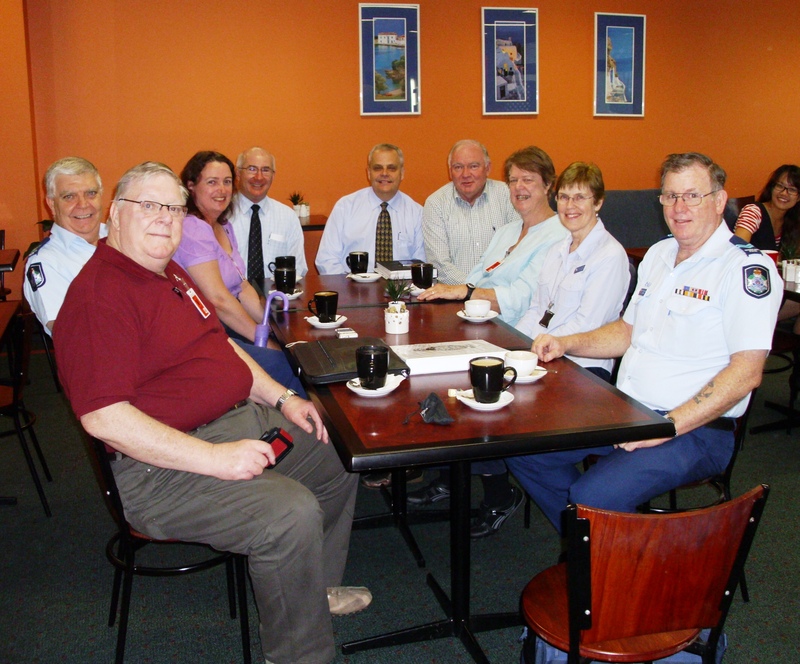 FQPM and QPM members enjoying a coffee at the Blue Light Café at Queensland Police Headquarters following the AGM. L-R: Ian Townsley, Richard Batty, Vicki Batty, Tim Deakin, Geoff Sheldon, Bob Burns (President), Clare Hackett, Virginia Gordon (QPM), Ed Thring.